Spinal Decompression - Chiropractor Boca Raton - Dr. Elaina Gill, D.C. 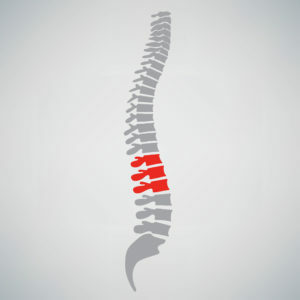 The spine is a very important part of the human body, it is at the center of each motion and a vital part of our health. What Exactly Is Spinal Decompression? Spinal Decompression is a non-surgical therapy that uses motorized traction to stretch the spine and decompresses the spinal disks. In this therapy the patient is fitted with harnesses in the trunk and the pelvis to then be reclined over a table controlled by a computer. The doctor programs the therapy and the table and the harnesses begin to move in order to readjust and stretch the spine. This spine alignment takes off the pressure in certain parts and aligns all the vertebra. When the spinal cord is stretched, movement of water, oxygen, and other nutrients is promoted. This circulation increase is full of nutrients needed to heal the damaged areas. A healthy spine is crucial component of the maintaining healthy mobility. Because the spinal cord is such an important part of everyday life, problems in this area can be extremely painful and debilitating. Spinal Decompression is a chiropractic therapy that helps to relieve pain and discomfort caused by injuries on the spine and the discs. Who Is This Therapy Recommended For? This spinal manipulation therapy is recommended for people with sciatica, back and neck pain, herniated or bulging disks, worn spinal joints, and injured nerve roots. This is relatively new therapy in the field of chiropractic and spinal manipulation, but the results that have been obtained are surprisingly good, improving the life of the patients. If you suffer from any of these conditions, make an appointment with Dr. Elaina Gill and explore why spinal decompression is a great therapy to release the pressure in your spine and make it healthy again.